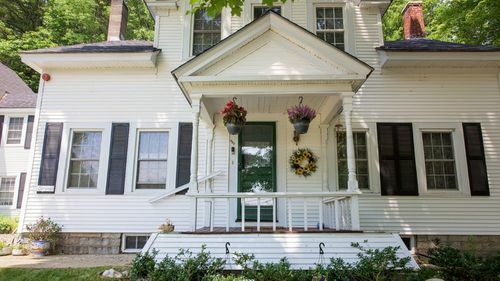 On the sloping side of a rising mountain, The Homestead at High Field Farm offers intimate privacy of the New Hampshire forest, mountain views and a classic New England farmstead aesthetic. 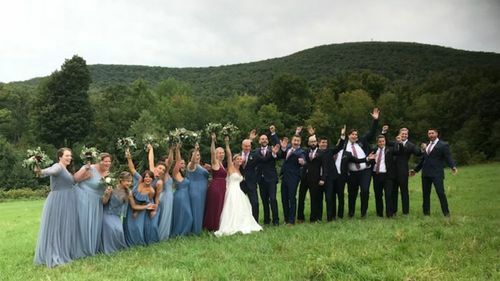 Emerging from a ride through the tall forests up to this private farm and homestead, guests will be treated to a huge vista with the New Hampshire mountains in the distance and beautiful wedding reception on a secluded mountain range. 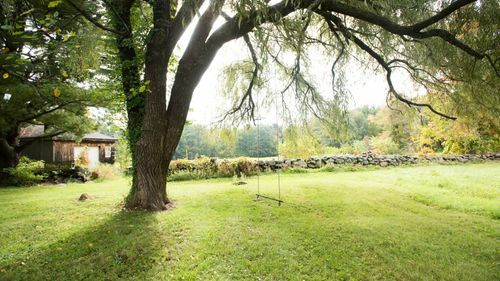 Private ceremonies can be held on the lawn by the home and within the quiet embrace of the oaks and maples that surround the home in its own veil of New Hampshire forest. 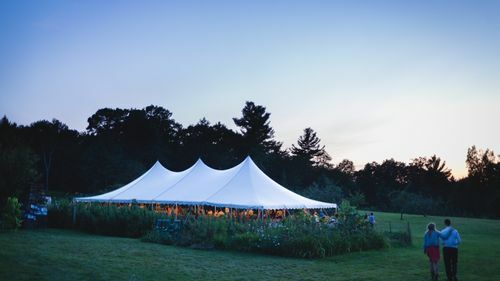 Afterwards, guests can enjoy cocktails in the sprawling green lawn in front of the barn and farmhouse, and then meander down to the reception area below. 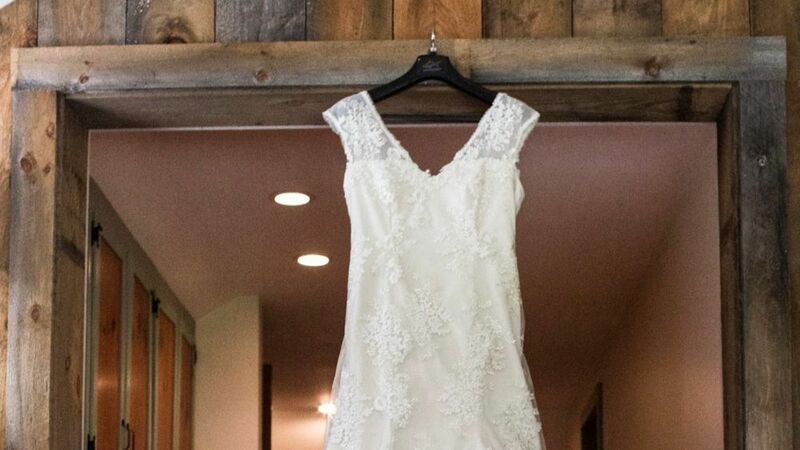 For the reception, couples can setup a tent within a private riding arena just below the barn and home, accommodating up to 250 guests, featuring mountain views, with spectacular fall foliage. 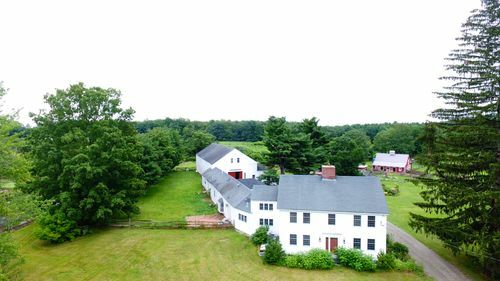 At its heart, this farm serves as an educational center, helping children connect with the outdoors through hands-on experiences. Through exposure to the outdoors, children learn to live connected with nature through interaction with animals and learning how to grow food such as high-end greens, pasture raised meats and other seasonal produce that couples can have incorporated into their wedding menu, when available. Other on-site or locally sourced produce, meat and flowers can be sourced upon request and subject to season and availability, enabling couples to support local homesteads, farms and businesses. Portions of wedding proceeds go towards expanding educational programs for youth and the local community. Changing Rooms - 3 separate rooms. Includes repurposed master bedroom and bathroom with panoramic views; second floor library featuring cathedral ceiling, exposed beams and direct access to full guest bathroom; & Den showcasing rich, formal decorative hard wood paneling. Home Access - Open concept first floor with formal dining room, sitting room with baby grand piano and kitchen (which opens to outdoor patio). Electric Power - Residential capacity only. Hay bales are available for rent $1 per bale (set up and breakdown included in rental cost). Each bale can seat on average 2 persons. Fire-pit and firewood. Includes setup, start and breakdown. ($75 for the night). 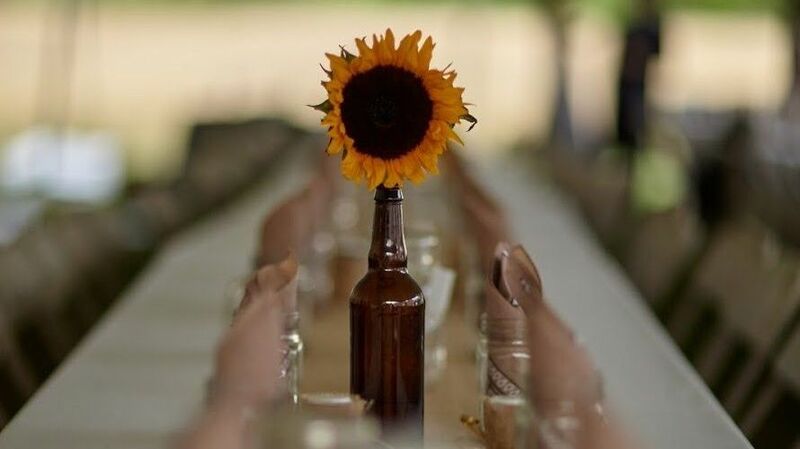 Licensed bartender, Farm grown flowers or custom floral arrangements, Fire-pit and fire wood. Open Flame Policy: Authorized with approved permit from local fire department. Trash and Recycling: Couples must consolidate in designated area. Composting solutions available for food scraps as well as compatible disposable cutlery and dinnerware.